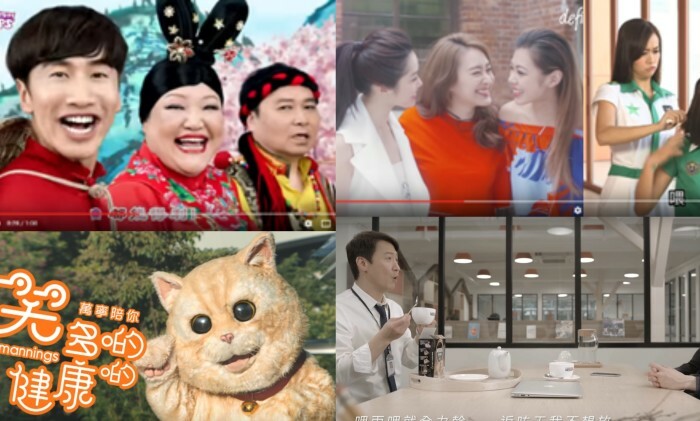 Brands that told heartwarming stories, encouraged you to sing along, had sense of humor, and featured superstars topped the YouTube Hong Kong ads leaderboard 2016. Let’s take a look at how brands who got Hong Kongers to sit up and pay attention with their video ads found success in 2016. Mannings took the top spot on the list with its touching ad, featuring their mascot – Mannings cat. This ad told the story of how the Mannings cat cheered up five adorable girls who were consumed by studies and extracurricular activities – reflecting on the life of just about every child in Hong Kong. This simple yet powerful ad clearly caught audiences’ attention. Sixth on the list, SK-II’s video ad conveyed a similar message about taking charge of one’s destiny. In second place is Campbell’s goldfish crackers, “The snack that smiles back”, an ad with a happy tune that boosted brand recall. Number eight on the list, Nestlé’s Frutips music video also added a humorous catchy tune to its ad. Korean star Lee Kwang Soo and local artists, including the late Lo Fun, used a catchy tune and humorous lyrics to connect with viewers. Released during Chinese New Year, the ad captured the festive mood and had audiences watching again and again. As more and more brands work with local celebrities in their ads, one of the biggest surprises for 2016 must be pop star Leon Lai’s appearance in Nescafé’s music video. This chart-topping-wonder from the 90s has all-new lyrics touting just how delicious Nescafé is. Leon’s star power with his jokes and easy-to-remember song significantly increased brand recall and affinity. GATSBY took a similar approach to create a YouTube ad with 100 Most, featuring DJ and singer Jan Lamb. The playful ad with local content incorporated in the lyrics boosted views and shares. Google said YouTube audiences tend to be much more engaged with brands, compared to other video platforms – 53% of viewers watch and listen to ads, compared to 28% for the second most-preferred video platform. In addition, 91% of viewers said that YouTube ads ultimately influenced their purchase.